Life insurance typically offers coverage in the event that the insured individual dies or suffers a disability. However, small business owners don’t have life coverage through an employer. As a small business owner, you are the employer. You can either buy life insurance separately or for your business. Here are some top reasons business life insurance will help offer protection against risks. First and foremost, the death of a business owner can pose a serious risk to their family. Without the right proprietor, leadership characteristics or partnerships, the business can decrease in value quickly. Moreover, the family may struggle to survive without the income of the business owner. With an individual business policy, you can ensure that your family is able to cover debts, ongoing expenses and future living stability. Additionally, the individual business life insurance holds the value of the business. If the owner was to die, the family can be forced to sell the business in unfavorable conditions. Or, they might sell for a much lower value to cover business debts. In a worse case scenario, the family could end up using personal assets to cover business expenses. To keep the value of the business, a business life insurance plan will provide the funds to avoid a distressed sale situation. Next, you can take your business insurance buying to the next level. Instead of buying an individual insurance policy, you can buy a group life insurance policy. The group policy allows employees to get a lower rate for coverage. Plus, it can be structured as a benefit to employees. The company can contribute as much or as little to the policy as necessary. The additional option to have small business life insurance is a great way to attract new employees and retain important ones. As noted before, the employee life insurance would provide similar benefits to their families if something were to happen to them. Every small business has key people. With a Key Person Insurance policy, your business can protect it’s profitability. Advantageously, key people can be insured for death or disablement. If an event were to occur, the insurance policy would cover the loss of revenues that would be required to pay existing business debts. For the life of a business that depends on a few key people like marketing consultants, this type of insurance policy can prove very worthwhile. In a partnership or formed LLC business, a deceased or disabled owner could lead to the buying or selling of the business. In contrast to a distressed sale, a buy-sell agreement provides an insurance policy to protect each partners interests. The insurance company’s funds would assist the fair sale of the owner’s shares with a determined way to calculate the value of those shares. Since this business life insurance policy protects multiple owners, it is an equally fair policy for them all. Your business life insurance can impact everyone including you, your family, employees and partners. 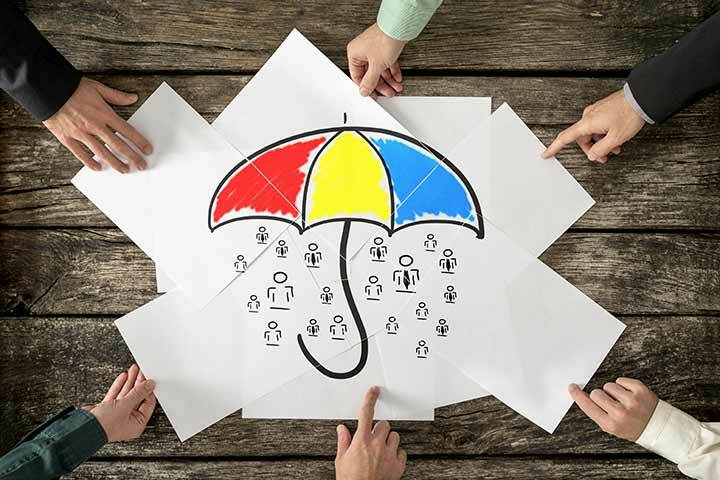 In order to ensure the continuation of the business and future security of those effected by the business, you can buy a mix of policies that offer increased protection. When done properly, buying business life insurance should help the business overall and mitigate several of life’s risks.